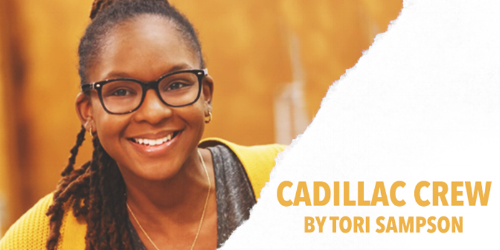 I'm thrilled to be playing the role of 'Rachel' in the staged reading of CADILLAC CREW, a play written by Tori Sampson, which reflects on the importance of black women in the fight for equality and asks us to consider the implications of their erasure from past and present movements. There will be 2 readings of CADILLAC CREW: February 12 at 7:30pm (Roble Hall, Stanford) and February 13 at 7pm (NOHspace). Both readings are $Free.99 (pay what you can) and open to the public so come out and explore with us! These readings are a part of the Playwright Foundation's Rough Reading Series where exceptional new works that push into new theatrical territory, challenge assumptions, and present deeply felt dilemmas within our culture and world society are read for an intimate audience. ALL AH WEE! | A Caribbean Heritage Month Celebration!